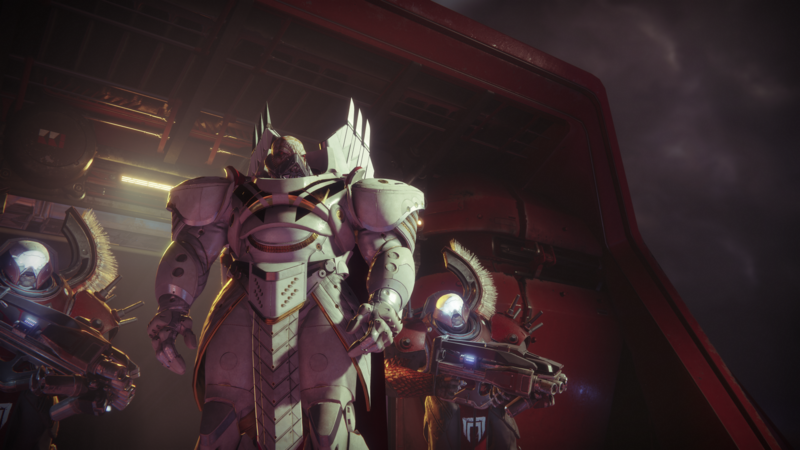 If you've made it the very final boss fight of Destiny 2, then it's time to up your game and face Dominus Ghaul himself, the final boss of the main Destiny 2 campaign. In this Destiny 2 Ghaul boss guide, we'll be walking you through every attack you can expect from the big bad in Destiny 2, as well as the best weapons you should bring with you to take him down with. Firstly, it should be noted that you don't necessarily have to use the cover dotted around the map to hide from Ghaul, as long as you're quick enough. Ghaul has a variety of attacks (which we'll be running through just below), but all of them are fairly slow and hefty, as he always properly telegraphs attacks ahead of time, meaning you can entirely avoid them if you know what you're looking for. Check out the Ghaul of this guy. So, there are a number of attack phases that Ghaul goes through, and we'll be outlining each one below, as well as how to entirely avoid his attacks. Solar Phase - Ghaul has the power to gather Solar energy around him, not unlike the Warlock's Dawnblade ability. He'll throw blades of Solar energy at you, but as long as you're strafing from side to side, and not backwards or forwards, you'll always dodge these attacks. Arc Phase - In this phase, Ghaul will fire Arc bombs at you, with roughly three seconds between each shot. The key here is to be off the ground and hovering in the air just as the bomb hits the ground underneath you. You'll miss the blast this way, and being airborne also allows you to shoot at Ghaul without any obstacles getting in your way. Void Phase - This phase is the shortest of the three by a long way, but it can also be the most deadly. Ghaul will summon Void energy around himself in this phase, and come charging through the air at you. Once he reaches your position, he'll slam down onto the ground with Void energy, heavily restricting your movement and leaving you open to attack. To avoid this, sprint sideways away from Ghaul as soon as he charges towards you, and you should be fine. Outside of this, the Red Legion will regularly provide reinforcements to Ghaul throughout the fight. If you look on the left of the screen, you'll get a notification whenever reinforcements are inbound, and you can see the dropship that they'll deploy from if you look to the skies, obviously keeping an eye on Ghaul at all times. We'd recommend taking out these reinforcements as soon as they hit the battlefield, as they can be particularly annoying should they manage to flank you while you're shooting at Ghaul. Other than all the above information, we'd advise you to not use cover unless you need to recover health in the Ghaul boss fight. Instead keep moving around the map, never staying in one area for too long, as this allows both Ghaul and the Red Legion to converge on your position. Once you've finally put down Ghaul for good, you'll get a rather touching cutscene with all your comrades that have come together in the fight against the Red Legion. But don't think you're anywhere close to finishing the game, as you'll now be challenged to increase your power level to 230 to take on Nightfall Strikes, and we can only assume you'll have needed to max out your Power level to play the first Raid in the game, when it eventually launches.